Need more information about booking Home 500309 ? This Bungalow has 2 bedrooms, 1 bathroom and sleeps 4. It’s been listed on Holiday Lettings since 05 Jun 2013. 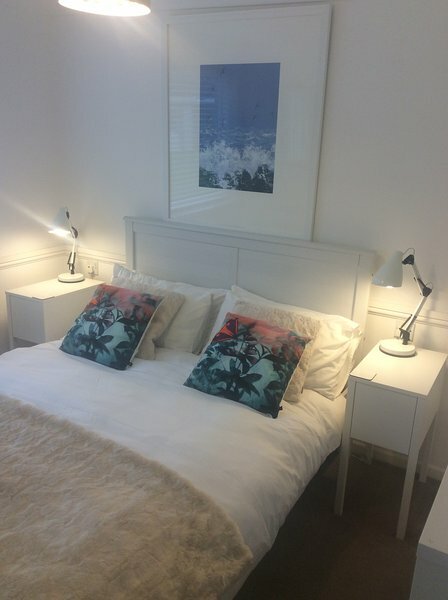 Located in Looe, it has 113 reviews with an overall rating of 5. The average weekly rate varies from £287 to £716. Everything went smoothly from the moment I booked until the moment I left. First impression - not just clean but spotless! Excellent facilities and a fully equipped kitchen. Bed very comfortable with good quality bedding. Would thoroughly recommend. Stayed for a few days in October half term. Lovely clean chalet. Everything you could need. Great location. Communication from Owners was excellent regarding directions etc. Would recommend. Had a really lovely time, staying at no. 3 bungalow millendreath. It was nice and clean Warm and cosy And a fantastic location We canny wait to go again And I can see this lovely little bungalow will be our home from home On a regular basis. Thank you LOUISE !! Fantastic location with the beach a minutes walk away and lovely sea views! the Bungalow was perfect with everything you will need for your stay. The garden is ideal if you are bringing a dog and is well enclosed. Looe is only a couple of minutes drive or if you are feeling energetic you can walk the coastal path within half an hour! The beds are so comfortable with memory foam matresses, and lovely soft pillows! The Black Rock café on the beach we can recommend, the food was great and the staff are really friendly. The owner Louise of the bungalow was very helpful if you happen to have any questions.We will definitely be returning!. As review should be the fact the we are planning to rent this place again! The bungalow is really great, well prepared, few steps from the beach, very well equiped, we couldnt wish for more! Few minutes distance by car from lovely Looe, about 15 minutes distanse from Morrisons. Its a bit shame the beach is not very nice, too much stones and dry seeweeds, but maybe in the season it looks bit better. Anyway, thank you very much! Owner's reply: Thank you so much for this lovely review we are really pleased you enjoyed your stay and would be absolutely delighted to welcome you all back again. Good location within the sound of the sea, good clean beach, nice walk to Looe on coastal path, central for lots of Cornish activities. Restaurant looking out to sea was very nice, and only 2 minutes away. Owner's reply: Thank you for taking the time to write this lovely review we appreciate it very much indeed. We are so pleased you enjoyed your stay and we would be delighted to welcome you back. We had an amazing time away, in this beautiful quaint bungalow. The photos online really don’t do it justice. Beautifully decorated, my personal favourite had to be the sunflower kitchen and the very comfy sofa to chill out on at the end of a long day exploring. The location was second to none and being able to start your morning with a walk on the beach watching the crashing waves was iidilic. I would highly recommend this bungalow for those looking for some time away from the business of life.